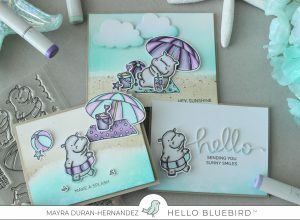 Hippos On Holiday with Mayra…. Hello everyone!! Happy Thursday!! Can you believe it is the last day of May already ?! This month sure went by fast!! Mayra here with today’s post. 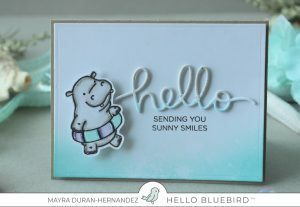 I am super excited to be here on the Hello Bluebird blog for the first time!!! 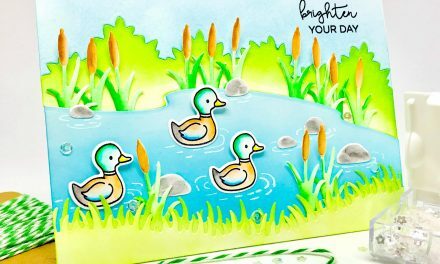 I created a set of summer themed cards to share with you today. Are you on the countdown to summer vacation? I know my boys and I are, lol!! 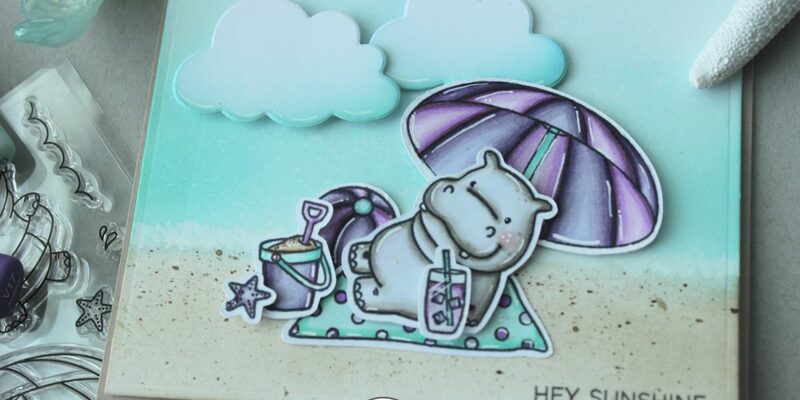 For my cards, I used the Hippos On Holiday stamp set from the newest release. This is such a fun set, perfect for summer. 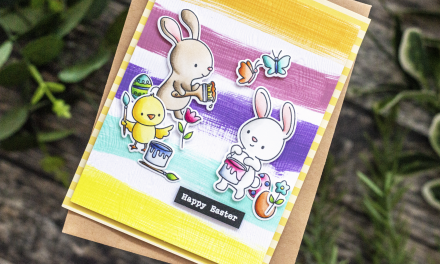 This set also has the coordinating dies. 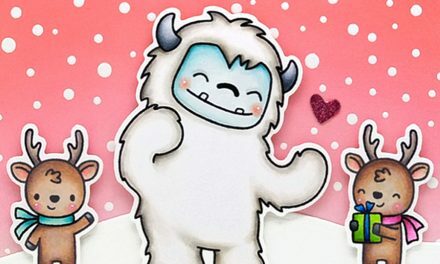 I colored my images using Copic markers. For the hippos, I used C5, W3, C1, W0. For the lavender/purple areas, I used two tones of purples. V09, V17, V25, V22, and V20 for one tone. For the second purple tone, I used V06, V04, V01, V000 and V0000. For the mint/teal areas, I used BG13, BG34, and BG10. I then created the backgrounds for my hippos. 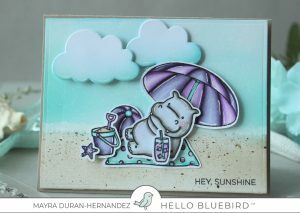 I used Distress Oxide Ink to create the beach areas. I began with Peacock Feathers, then added Salty Ocean (Distress Ink), then a bit of Cracked Pistacchio. For the sand area, I used Walnut Stain Distress Ink. To create the foam area for the beach I added a bit of white acrylic paint with just a bit of water mixed in. I applied it with a small paintbrush along the edge of where the water meets the sand. It is a super easy technique. I also used the hello die from the Gallery Frame Die #1 set. I added a bit of color using the Peacock Feathers and Walnut Stain Distress Inks. 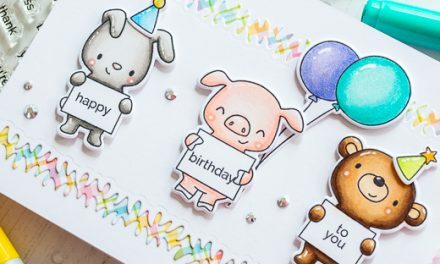 I hope you enjoy the cards I created to share with you today!! Thank you for stopping by! I hope you feel inspired to create! Wishing you a wonderful and blessed day!